Phil Keevers commenced as a National Mutual Agent in 1994 following a career in Rural/Retail Sales. Phil has been a Branch Manager for a Pastoral House, which included insurance, marketing and budgeting. He has also operated his own business as well as managing others in the rural and retail field. 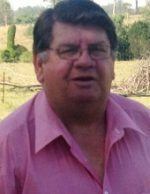 Phil is currently a Director and Past President of the Tweed River Agricultural Society Ltd, Past President of the North Coast Group of Shows Inc, a Director, a Past Grand Master and a Secretary of Manchester Unity IOOF in NSW Ltd and a member of the Rural Fire Service. Phil is focused on working with his clients to put the necessary steps into action in order to meet their lifestyle and financial goals.